A wide array of laboratory urine and blood test panels for analysis are available to help discover your potential interferences with your health and guide you on a pathway to attain and maintain a healthy lifestyle. 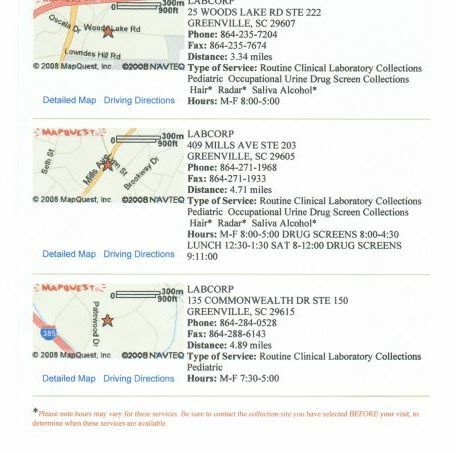 Labcorp is our preferred provider for laboratory services. Their Greenville locations are shown on the map below.